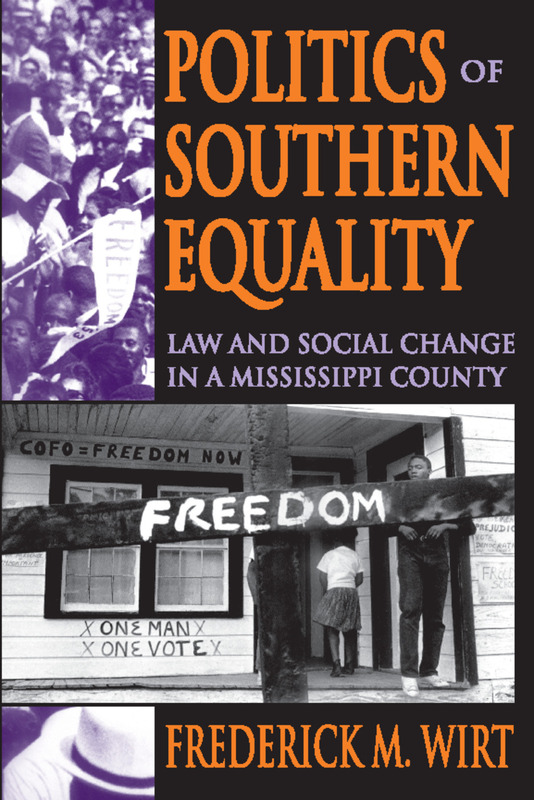 This path-breaking text deals with the effects of federal civil rights legislation on the behavior and attitudes of the inhabitants of a single county in Mississippi--Panola County. These effects are examined in the three civil rights areas of voting, education, and economic opportunities. By using this smaller example, Frederick M. Wirt's broader interest is to show how legislation can be used to effect social change on a large scale. The need to substitute empirical knowledge for abstract speculation motivates Wirt's study. Wirt restricts his study to one county but with conclusions on comparative studies that illumine the emerging political sociology of the South. The author sketches the historical setting of Panola County, emphasizing on the demographic, economic, and political developments in recent decades. He then examines what has actually happened in race relations as an effect of civil rights laws affecting votes, schools, and jobs. Wirt utilizes documentary material from federal, state, and county sources; local newspapers; and records from business and other groups. But his closer understanding comes from personal interviews. Because federal law is the dynamic factor setting the social system in movement, the author explains the interactions between public opinion, the President, and the Congress, which in the end resulted in the laws on votes, schools, and jobs. He also deals with the differing machinery of sanctions and enforcement. Law has a huge effect on social change; and Wirt draws from his empirical study a systematic, inclusive statement of the factors affecting compliance with law, in conditions of conventional biases.